Devoted to design principles, influences, appreciation, and application, this fully illustrated manual presents a thoroughly unique approach to becoming a professional furniture maker and designer. The major part of the book is devoted to design principles, influences, appreciation and application for the self-employed craftsman, working either alone or in a partnership, or for the student or woodworker who wishes to start his own business. This section is fully illustrated with examples of work suitable for both batch production and one-off commission work, and these two aspects are discussed in full in two separate chapters. Nine designs are drawn to scale with elevations and plans and detailed cutting lists. 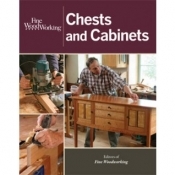 A brief introduction is given to the craft furniture movement (Craftsman Furniture), the Cotswold School and the creative craftsmen of the period, followed by an outline of the Froxfield workshops and the author’s own training under Edward Barnsley. It continues with all the aspects of setting up and/or improving the workshop along with the tools and machinery that may be required for a variety of working situations. Business efficiency methods are also explored, including the available professional help such as accountants and solicitors who may ease the paperwork side of running a business, in addition to the promotional aspects—exhibitions, press coverage, gallery display, and photography—that are so essential to growth. Training through trade apprenticeships as well as formal training in specialist schools and technical colleges are given particular attention. This handbook is indispensable to any self-employed craftsman, student, or woodworker looking to start a business. It’s a universal need—more storage. Whether you’re housing books and DVDs, kitchen items, sports gear for the kids, or even the very tools you use to create woodworking projects like these, a little extra storage goes a long way. Following the success of the best-selling Shelves, Cabinets & Bookcases, this all-new collection of 25 how-to articles from recent issues of Fine Homebuilding and Fine Woodworking magazines will inspire carpenters, woodworkers, and DIY-ers of all skill levels to create practical yet beautiful units for keeping life straight. Sturdy and attractive is the theme that runs through each project, including a multitude of bookcases, entertainment center built-ins, mudroom clutter busters, and custom kitchen cabinets. 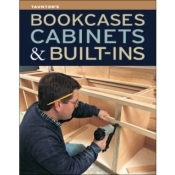 Expert advice from America’s most accomplished craftsmen will lead the way for designing and building the cabinets, built-ins, and bookcases readers will love. Stretch your skills and build a beautiful piece. In just 80 minutes, you can treat yourself to an overview of the fundamentals of case construction in Build a Frame-and-Panel Cabinet. Furniture maker and woodworking instructor Tim Rousseau walks you through every step of the process, from rough board to final cabinet in this DVD, which includes a Bonus SketchUp Plan. The perfect project for improving your work. As Tim demonstrates, this one-door, one-drawer piece is the best vehicle for teaching all the fundamentals. It involves mastery of a variety of unique joinery techniques. The external frame is secured with basic mortise-and-tenon joints but, as you’ll see, there’s more to the internal frame than meets the eye – and that includes using connectors called blades. Tackle the details that make all the difference. You’ll learn how to make a frame-and-panel door that fits precisely into its opening, an efficient way to install knife hinges, and techniques for shaping tapered legs. Discover expert tips for installing a drawer that slides like a piston, so every drawer you build going forward will work just as smoothly. The one workshop class that’s a must-see. These how-to episodes offer intermediate woodworkers an invaluable opportunity to master the essentials of constructing quality casework. From initial design and plans to finishing and hardware, it’s all here. Order your Build a Frame-and-Panel Cabinet DVD now. About the Author Timothy Rousseau got his start as a furniture maker at the Center for Furniture Craftsmanship. After completing the 12-week program in 1998, he stayed on as workshop assistant and artist in residence. Next he polished his furniture skills in Hoboken, N.J., where he worked in a highly-regarded cooperative and learned from some of the best professionals around. Tim returned to Maine in 2002 as the school's resident instructor. Now he makes furniture full time and leads two of the schools 12-week programs each year, teaching case construction among other things.